What’s it like to work at Waffle House? A Waffle House in Beaufort, South Carolina. I worked as a server at Waffle House the summer after high school graduation, about six months after I had gotten accepted “early action” to Harvard. My parents wanted me to get a job during the summer instead of lounging around the house—which I thought was fair. Considering (what I believed to be) my perceived qualifications, I didn’t think it would be a difficult task. In reality, I had no previous work experience with anything besides private tutoring; I was looking for a summer job in July, when most of my peers had already started working; and I needed to begin working right away at a time when no positions were immediately open. After a week of fruitless and desperate job-hunting, Waffle House was the only company that took a chance on me. For that, I was grateful. 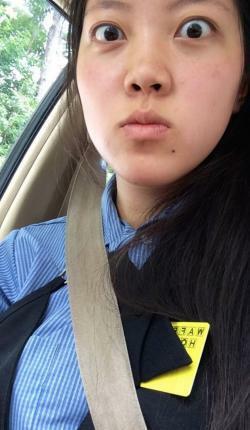 The author in her Waffle House uniform. Waitressing at Waffle House paid an abysmally low $2.92 per hour. A few precious dollars were also taken off from my paycheck to account for meals, whether I ate them or not. On a good day, I would make minimum wage from tips, which largely depended on the volume and generosity of the customers, the shifts you were assigned on certain days of the week, and the quality of your service. What I found was that succeeding at Waffle House required a different skill set than the academic and extracurricular achievement dichotomy that I had cultivated in high school—the one required of elite college admissions. This was a different kind of balancing act with different rules. Instead of completing assignments, taking the SAT, and juggling multiple extracurricular commitments, I was expected to complete menial chores, take meal orders from customers, and juggle the demands of my co-workers and my job. The memorization required of servers was akin to that of an AP biology midterm. We were given a menu packed full of names of dishes and prices and tested on our knowledge every day. There was also a certain way we were supposed to “call in” orders and mark the plates, a standard jargon and routine that was custom-made for the business. Other than rote memorization, though, there wasn’t much in the way of intellectual stimulation. Things like washing, drying, and stacking dishes were thoughtless but still required a warm body. Sometimes I scrubbed plates. Sometimes I scrubbed toilets. Manual labor wasn’t my forte, but at least I was enthusiastic. While I was working at Waffle House, I was treated like an untrained, entry-level employee—quite a stretch from my previous identity of model student/distinguished young woman/future leader of the world. The overall experience wasn’t unpleasant, but I often found myself exhausted from my shifts; underwhelmed by the tedium (and the people); and listless, like once-bubbly champagne that was left out for too long on the counter. In spite of everything, I put on a bright smile. Welcome to Waffle House! What can I get you today? Customers filed in and out on a daily basis, and I had lots of interaction with your average Joe. At times the comments from customers were mildly degrading (“It’s a good thing you have your looks going for you,” etc. ), but I don’t think they were ill-intentioned. One day a friend of mine from state academic bowl did a double take when he came in to eat and saw me working behind the counter. “I thought there was a pregnancy sob-story attached,” he told me. (I was mortified.) Another day a group of my friends came to visit me just to make fun of me. After their meal, they left more than $60 in tips as a graduation present, the equivalent of 20 hours of salaried work. I was touched beyond words. My last day on the job was the day before I was set to fly off to Boston. I couldn’t wait for my new life beyond an ivy-covered gate, and I couldn’t wait to escape from my dead-end job. But it almost seemed like a cruel joke to tell my boss that I was quitting to go to Harvard. Ultimately, the experience for me was more of an exercise in empathy than anything else. I knew I had a future ahead of me, and I knew how much of a privilege that was. 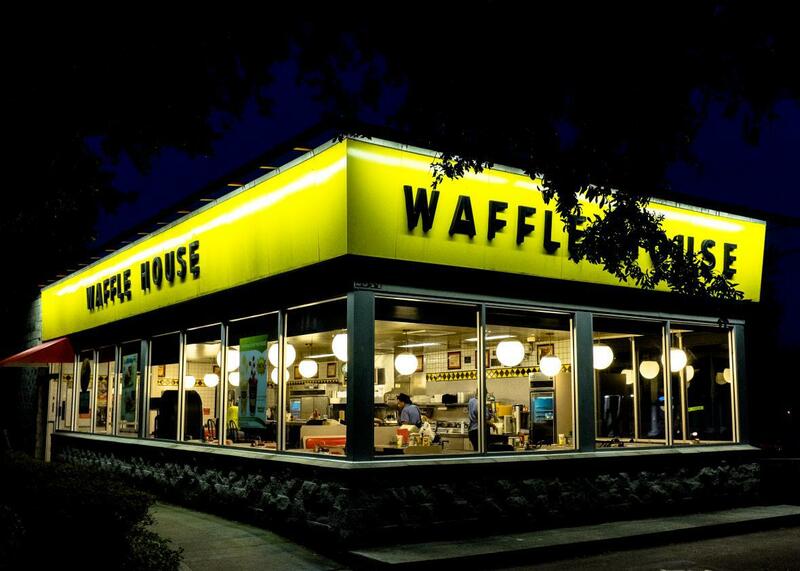 I could see how Waffle House could constitute existence for some people, working day in and day out for pennies on the dollar, refilling coffees and scrubbing plates with one eye on the clock. It wasn’t the right place for me, but I’m grateful for how much I’ve learned. College and university experience: How important is attending lectures in college? Food service: When and what do waiters and other restaurant staff eat?